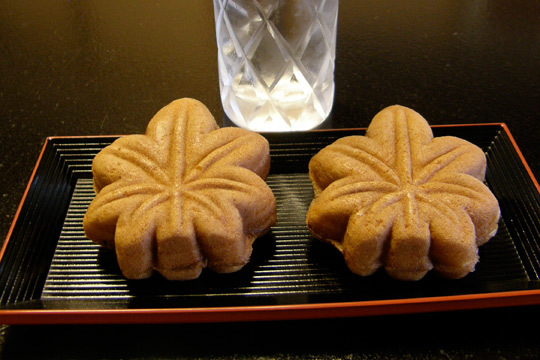 Manju is a traditional type of small cake usually made of flower and rice powder. 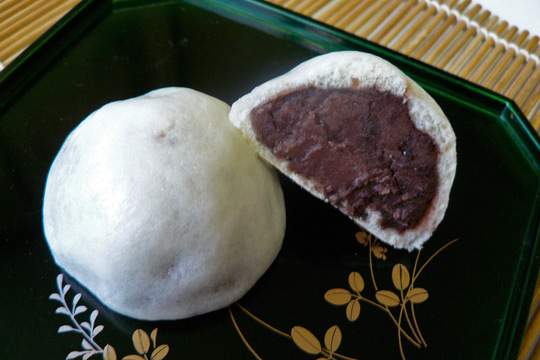 Manju are most often filled with sweet red bean paste and steamed but other types of fillings or ways of cooking are possible. 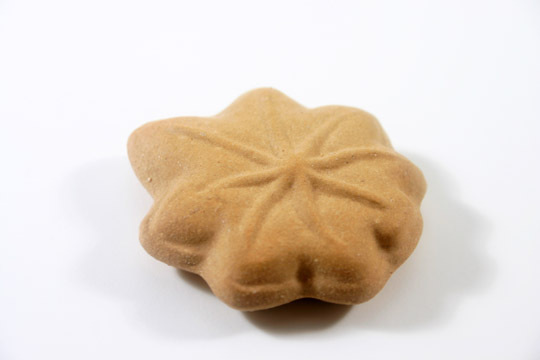 For instance the 'matcha manju' includes green tea powder in the paste. The 'momiji manjū' is made in the shape of a maple leaf and grilled like a ningyo-yaki, it's a speciality of Hiroshima and Miyajima.